Prior to the 1840s there was next-to-nothing at the spot now known as Tow Law. Then, in 1844-45, an enterprising chap by the name of Charles Attwood decided to take advantage of the local reserves of iron ore and coal to set up an ironworks. And, though the ironworks only lasted 30-odd years, the related industrial activity continued unabated – well, until recent times, of course. One of the village’s strangest claims to fame is the fact that the cannonballs used in the Crimean War of 1853-56 were made from Tow Law Iron (as well as, in fact, girders for the London Underground). This direct link between the conflict of the time and the village was reinforced when, in 1862, a new pit was sunk to the north of Tow Law and named ‘Inkerman Colliery’ – the Battle of Inkerman being one of the key clashes of the war and still very fresh in everyone’s minds. The OS map of 1861 shows that there was also an existing ‘Inkerman Inn’ at the site – having probably been renamed immediately after the 1854 battle. So, strictly speaking, the pit was named after the pub! So, again, where once there had been pretty much nothing, a little community sprung up – with a rather odd-sounding name. At its height, more than 300 men were employed at the new colliery, so there would have been quite a throng at Inkerman at its peak. The railway fed into the location, and there were great banks of coke ovens to the north and east of the site. At one point, Tow Law’s Salvation Army was based there, albeit briefly. In time, though, the demise of, firstly, the main iron works, then eventually coalmining in and around Tow Law took its toll. The fall from grace was spread across several decades: from the early exit of the former to the closure of the last deep mine – that of Inkerman, in fact – in 1969. Whilst Tow Law remains very much on the map, there is nothing of note to be found at the settlement once known as Inkerman – though some of the old coke ovens were repaired for display recently. County Durham’s official flag is something of an oddity, having been designed and adopted in the very recent past – 2013, in fact – being the last of England’s northern counties to take up the flag-waving mantle. 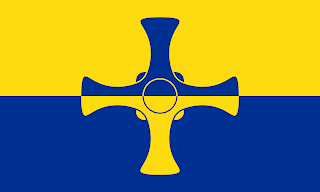 As you can see, it shows the outline of St.Cuthbert’s Cross counter-changed horizontally between the county colours of blue and yellow (or gold, if you prefer!). …being the county council’s official effort, and in use from the 1970s county boundaries reshuffle. However, in the summer of 2013, campaigner Andy Strangeway launched an online competition for a new design – and the winner was the splendid effort at the top of this piece. It was put together by twins Katie and Holly Moffatt and their father James from Chilton, near Ferryhill, who beat off the competition by public vote. And by the end of November 2013 the flag was flying proudly over Durham Cathedral. What might be called the ‘shrunken village’ of Quebec lies a mile or so NW of Esh Winning in Co.Durham. It is one of the better known of the many odd-sounding placenames which pepper the North-East – and periodically throw locals and outsiders alike into a mildly confused state. I mean, just how do these little settlements get their peculiar names? Daft place-names fall into various categories, of course. Near to Quebec there is Click-em-Inn Farm (one of several across the UK) – names of this form are probably corruptions of earlier versions. Then there are bright-sounding monikers such as California, Paradise, and the like – applied quite often to dour-looking situates, possibly with a hint of irony or to attract new settlers to an otherwise ordinary area. But what of those spots that are named after not-so-glamorous, out-of-the-way corners of the earth, such as Greenland, New York, Toronto … and, of course, Quebec? The explanation is two-fold. Basically, it’s down to one of two things: geography/topography or historical events. In Quebec’s case it may be down to both. When new farmsteads, or even individual fields, are created and named, quite often (at certain points in history and as fashion dictates) they may be given labels to tie in with current trends and particular historical events. These days, a modern housing estate or ‘new town’ may be named in honour of some past historical figure or event, or a feature of the landscape; but in times gone by it was often the present which was honoured. And when much of our countryside was so controversially enclosed in the eighteenth century many new names were called upon, for both farmsteads and fields. In the case of little Quebec, it seems, it was the fantastically important victory of our boys over the French in the Battle of Quebec in 1759 which brought the name of the North American province into prominence and, consequently, onto the face of our map. Famous battle + new farmstead/field system = fancy new placename for Co.Durham. In time, a settlement grew around the spot, and Quebec expanded into a village. However, there is a counter-argument. You may have noticed that many of these new placenames are imported from very distant corners of the globe. And there is a theory that as enclosure often placed particular fields at a considerable distance to their ‘home’ farms, the new tags arose as a sort of mickey-take on their relative remoteness. Places like Quebec, Toronto and New York all seemed a very long way away to eighteenth century farmers; just as some of their newly-allocated fields seemed to be! The building complex which was, until very recently, known as Ushaw College was for many years the principal Roman Catholic seminary in the north of England. It acted as a training facility for young catholic priests, but was closed in 2011 due to falling numbers of scholars. From its founding in 1808, it grew into an institution of substantial proportions over its 400+ acres. Despite its high profile history (in the catholic world at least) the most interesting aspect of its 200-year existence is the backstory to its establishment. Amazingly, the tale begins in the early years of the reign of Elizabeth I and the re-imposition of Protestantism in England, which led to the exile (voluntary or otherwise) of many of those of the catholic faith. 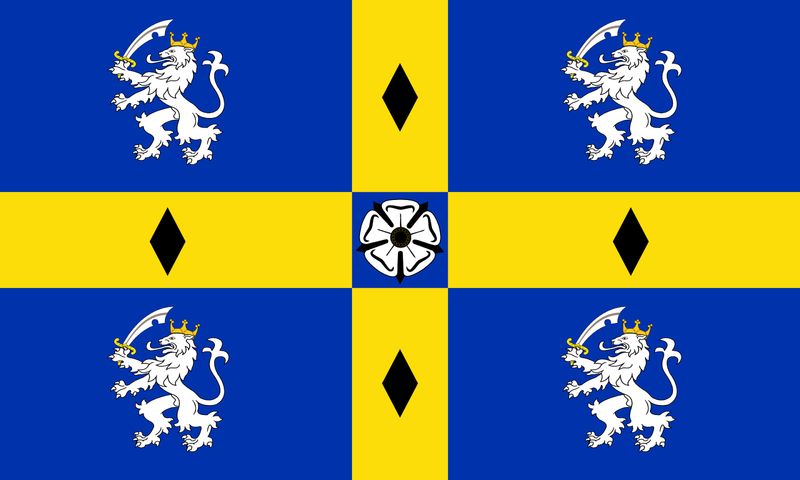 At Douai in northern France (then in the Spanish Netherlands), a small community of English exiles assembled, who, in turn, helped establish the University of Douai – indeed, the institution’s first chancellor was an Oxford University import. Almost immediately the idea of an ‘English seminary’ was mooted for the little commune – and so was founded Douai’s ‘English College’ in 1568. The academy effectively became a ‘Catholic University of Oxford in exile’, readying itself for the reconversion of England to the catholic faith. Although this, of course, never transpired, a great number of priests were secreted into England in the decades and centuries that followed – though the fortunes of the college ebbed and flowed over the years. Then, when the French Revolution hit in the 1790s, the great majority of the officials fled back to England and the college was quickly suppressed. The fleeing clerics and their students were eventually able to establish new college sites in Ware, Hertfordshire, and at Crook Hall, Durham – the second of these relocating, in time, to Ushaw. As for the Ushaw site, a building programme spanning 1804-1808 saw a new seminary opened as ‘St.Cuthbert’s College’ – under the guidance of Bishop William Gibson and to the designs of James Taylor. In the following decades it was much expanded with the aid of several other eminent architects. Since its closure as a seminary in 2011, the site has been run by a charitable trust with a view to long-term educational use (possibly, eventually, as a catholic scholarship/heritage centre). It is also, in stages, being opened up to the public, including as a venue for concerts, etc. William Greenwell was born in 1820 at Greenwell Ford, a little to the south of Lanchester, Co.Durham. He lived a long and full life, dying a few weeks short of his 98th birthday in January 1918 - and, being born into a life of some privilege, he was accorded many opportunities during his extended stay on the planet. However, Greenwell is best remembered for something remarkably trivial. He was educated at Durham School and at University College, Durham, before shunning a career as a barrister in London, deciding instead to return to the North-East and a life in the church. In 1854, he was appointed canon of Durham Cathedral (a post which he held until his death), and dabbled, too, in the life of the university. He was also an archaeologist, and became a leading light in the various clubs and societies of the region which were dedicated to the pastime. He excavated sites at Danes Graves, Yorkshire, and Grimes Graves, Norfolk, and amassed an immense collection of artefacts, which is now held by the British Museum. The wings, inside of a blackbird wing; body, red and black hackle; tied with yellow silk. 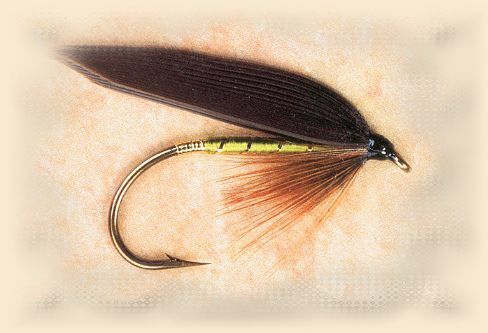 Simple, yet highly effective, as, the very next day, Greenwell returned to Mr Wright’s abode with his creel and pockets bulging with trout - and the name ‘Greenwell’s Glory’ was born in the ensuing celebration. This is all thought to have happened in the mid 1850s, but the new fly soon caught on, and, indeed, is still with us today.